FREE Autogeek White Logo Sticker - Your Choice! Home > Autogeek Gear > FREE Autogeek White Logo Sticker - Your Choice! Show off your Autogeek pride! Turn your wash bucket- or other detailing equipment - into official Autogeek gear with the Autogeek White Logo Sticker. 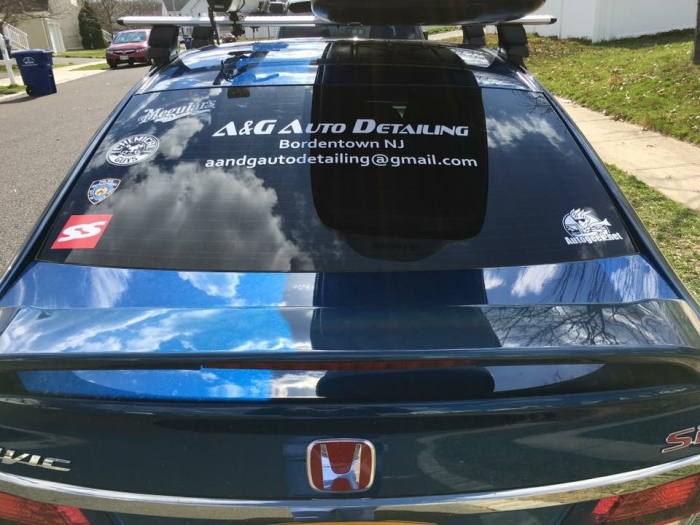 Place these stickers on the back of your vehicle to let everyone know that you're passionate about car care and detailing! The waterproof stickers are helpful for labeling wash buckets or just to show your Autogeek pride! The large Autogeek Logo Sticker is made to withstand moisture and can be placed anywhere. Limit one sticker per household. Free with orders over $95.00. Love this decal looks great on my truck!! Get an a AUTOGEEK sticker. And you 2 can be a Geek. Great quality decals, put one on my toolbox and it looks awesome! Nice and durable decal. I put mine in my car to show my autogeek pride and it's free.